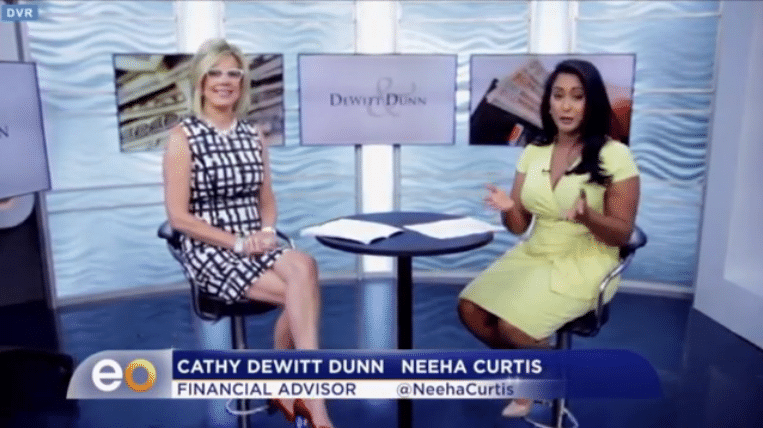 In this EyeOpenerTV.com interview, Neeha Curtis and Cathy DeWitt Dunn discuss budgeting for Christmas without breaking the bank. Neeha Curtis: Summer days are filled with swimming pools and barbeques, but now is also the perfect time to start planning for your Christmas shopping. I’m here with financial expert, Cathy Dewitt Dunn. Cathy, thanks so much for joining us this morning. Now, why should we start planning for our holiday shopping now? Cathy DeWitt Dunn: Well, we need to start budgeting because, as we know, the holidays come earlier and earlier every single year. And, you know, if you start budgeting now, you won’t end up in debt later down the road, which is what happens with a lot of people. They overspend. Neeha Curtis: Now, what steps should we take towards budgeting? Neeha Curtis: Okay, so it’s July now, and Christmas, the holiday season, is going to be creeping up. How do you start putting money away just going up to those months? Cathy DeWitt Dunn: What I always tell everybody is, take a look at your credit card statements or even your bank account statements. What are you having auto-drafted that you don’t remember about? Maybe you could lower your cable bills, maybe reducing your data plan. Simple things like that will really add up. Or, stop eating out at lunchtime or going out to dinner all the time. 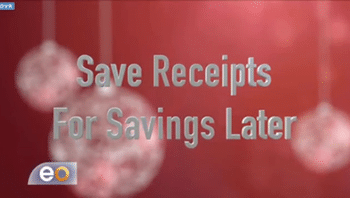 Those are great, simple ways to start saving money for the holidays. Neeha Curtis: Are you one of those people who starts buying gifts early and then putting them away for the holiday season? Cathy DeWitt Dunn: I am. Cathy DeWitt Dunn: I am! You know, and what I do is, as I buy gifts, I put them away, and I take the receipt and I attach it to the bag or tape it to the box. Neeha Curtis: Oh, that’s a good idea. Cathy DeWitt Dunn: So then, I don’t lose it. So then, if I see it somewhere less expensive, then I can, maybe, return it because with most retailers, you have 90 days, and some up to 6 months, so that’s something to also check out. Neeha Curtis: Now, what can you do to start prioritizing what you’re buying around the holiday time? Cathy DeWitt Dunn: Well, make a list and keep that list with you when you’re going out shopping, so that, that way, you don’t, “Oh, I’m gonna get this.” Well no, that’s not on your list. So that’s going to help you really stay focused, and then you can update it. Neeha Curtis: Thank you so much, Cathy, for coming in this morning. If you want more information from Cathy, head over to our website, EyeOpenerTV.com.